Join Us at the European Fashion Avenue Grand Opening! One of our clients, Karolina Plociennik, has opened a shopping boutique in Settlers Green Outlet Village. Karolina has been working on the inception of “European Fashion Avenue” for years now, and we have always enjoyed hearing about this specific dream of hers when she would come into the salon. The day is finally here and we are joining her for the grand opening! Where: European Fashion Avenue, in Settlers Green Outlet Village, Unit #B18, between Wilson’s Leather Outlet and Talbots. Complimentary make-up applications with Jane Iredale Mineral Make-up. Debony and salon staff will be there to answer any of your make-up questions, teach you application techniques, and help you find a new make-up look to match your new wardrobe from European Fashion Avenue. Jane Iredale Mineral Make-up retail will also be available for sale. European Fashion Avenue will also be offering refreshments and 40% off the store, and more! European Fashion Avenue is a modern boutique that offers a variety of high-quality European designers clothes, including many Polish designers who share their creative fashions exclusively through European Fashion Avenue. We’re so excited for Karolina and we hope to see you at her grand opening event on July 28th. Jane Iredale Mineral Makeup offers clean ingredients, powerful results, and uncompromising beauty for your specific skin. Its natural skincare formulas and multitasking mineral makeup are high-performance, clean and cruelty-free—providing effective, targeted solutions for a healthy, radiant complexion. 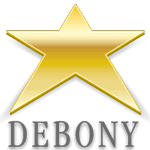 PreviousPrevious post:Debony Salon Creates Careers in Mt. Washington ValleyNextNext post:Fall Plans at Debony Salon!